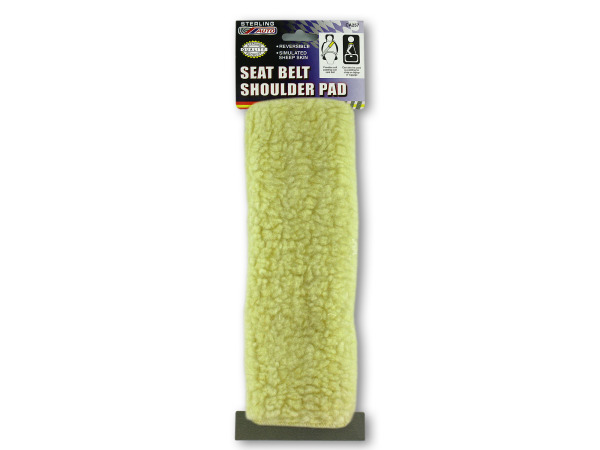 Provide a soft padding cover over seat belts with this convenient Seat Belt Shoulder Pad. Versatile design can also be used as padding for straps on laptops and luggage. Pads are made of simulated sheep skin and are reversible with a hook and loop fastener. Measures approximately 9.5" long and 7.5" wide when open. Comes packaged on a hanging panel.